A blustery, sometimes rainy, occasionally sunny, day in Hexham was the venue for Saturdays St Georges Day celebrations, the Market, the Book Festival and so much more: I spent several hours chatting and buying everything from one of Andy Bates Hexham made belts, to local books from the History Society stand, to local cheese and a Kielder Organic Bacon Butty. Brian Sewell, the London art critic and journalist for the Spectator and Evening Standard wandered around, as well as hundreds of locals, enjoying the efforts of the stall holders and the organisers. Then went on to Haydon Bridge Community Centre where I popped into the coffee morning and bought too many books and yet more cheese scones [some were to be given away later as a present] and agreed to try and make their Jubilee celebrations on Tuesday June 5th. Then on to Bellingham where a group of us enjoyed a delicious lunch at the Cheviot Hotel and met the team behind the Friends of Bellingham Surgery, and the barrister who fought their case for them in the High Court. Had time to pop in also to the Bellingham Heritage Museum, and the new cafe which is next door in a railway carriage ... where more cheese scones were purchased. All scones - those munched and given away as presents were delicious. GO: "We know that this is a debate about schools because everybody has started quoting famous names. By my account, we have had Shakespeare, Mark Twain, Martin Luther, Martin Luther King, and Reagan snuck in at the end. I prefer to take the Minister back to the ancient Chinese proverb of Lao Tzu who—as our eminent Education Minister will know—was the founder of Taoism and said that the longest journey begins with a single step. Is not the essence of this debate that we are all seeking that first step? It is not a large step; it could be a short step." RG: Since my hon. Friend introduced Lao Tzu, he will no doubt also be aware of the more recent Chinese philosopher and statesman Deng Xiaoping’s great remark, “Yi bu yi bu”—one step at a time. Does my hon. Friend think that that is appropriate for the way in which we might resolve the issue of fair funding for schools? GO: I do, and I will reply with words from Sun Tzu who, when he talked about the art of war, said, “Know your enemy.” That is interesting given that there is no enemy present today, but does not the absence of Opposition Members—save for the shadow Minister, Ms Buck, who will no doubt act robustly in defending the 13 years during which we all endured a funding gap—speak volumes? I will move on from the happy badinage in which I and my hon. Friend have been engaged to say that like other hon. Members, I represent schools in Northumberland that look enviously at counties and cities that have a greater degree of funding. To put it simply, no change is not an option. A year ago today I collapsed in the Central Lobby of the House of Commons, with a brain tumour. I am fully recovered after my operation, and a great deal better than I was - the surgery has been a complete success. I just wanted to say a huge thank you to all the staff at the NHS hospitals who looked after me. Forever in your debt. A good day in the House this morning as I got the chance to speak briefly in the School Funding debate. Just off now to meet with the students of St Josephs School who have come down to the House. Have also been told that the decision on Prudhoe High School is now not allowed to be made until after the May 3rd elections - the reason is that the govenrment are prevented from any announcements that may influence in either way the elections up and down the country: this is called the purdah period. Apologies for those waiting but I am assured we will find out very soon after that date. 80 years ago today on Sunday April 24th 1932, 400 men and women, largely from Manchester, assembled in the Peak District with a view to trespassing on to Kinder Scout, the Highest Point in the Peak District. They did this to proclaim that "that God gave the land to the people". At the time they knew that if they wanted the moors to be free, they had to take action. Some were arrested and went to prison. 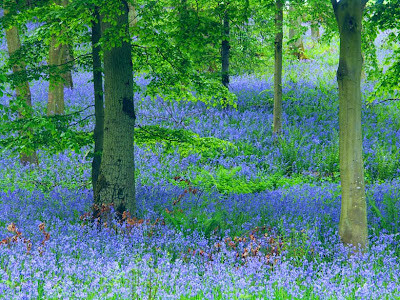 The world changed however: in 1951 the Peak District National Park was established. For my part I look forward to celebrating their achievement in August when I walk the Pennine Way - Kinder Scout is en route. The French Presidential Election - is Sarkozy down and out? Today the first round of the French election takes place. President Sarkozy is trailing his rival Francois Hollande by a signiificant amount and I do not see Sarkozy winning either the first or second ballot in 2 Sundays time. Sarkozy is a wily short fox and it is a brave man who writes him off. However, he is a victim of his own character and his indecisiveness as a President - he has not reformed the French economy or addressed their significant lack of competitiveness. Change is always difficult but the French banks, business and economy are clearly really struggling - particularly as the Euro staggers from disaster to disaster. Does this election affect us in the United Kingdom? The answer is yes. It is vital for our side of the Channel that we have a French President who will open France up to trade and who will help combat the Euro Economic Crisis. I fear that the Socialist candidates programme will be short term popular but a disaster economically. This is an election worth watching - but the clear implication is that the French public have both fallen out of love with Sarkozy himself and simply do not wish to address their economic problems. They are voting for Hollande because he is both not Sarkozy and because Hollande promises them an ever larger public sector of in excess of 60% of the population and economic apple pie. - aged 19, Matthew had driven his tank from Normandy to Germany in the second World War: my favourite wartime story was a description of how they took over a French town which featured a giant Camembert Cheese Factory, whose smell was powerful and all pervasive over the local French town. As the rationed British troops did not know of such cheese delights the explosives team were sent to blow the cheese factory up, in case the cheese was some deadly weapon! - Matthew was a famous gardener, arborist, naturalist, fisherman, collector, Chair of the County Council and an apolitical force for good. - Professor James described how after the war Matthew had gone to the Seychelles with 2 others and that they had successfully stopped the extinction of the famous Sooty Tern from these islands. Matthew loved birds but above all he loved Red Squirells. As Professor James remarked: "Matthew ensured that public fiunds were spent to such a degree on the Northumbrian Red Squirrels that they might as well have been gold plated by the end!" Their ongoing legacy in Northumberland is further testament to his great work. Not - how did he die? But how did he live? Not - what did he gain? But what did he give? And - how did he play his god given part? Not - what was his church? Nor - what was his creed? Of a man, regardless of birth. It was a privilege to have known this man who mad us all feel humble. As mentioned earlier here are the figures from last nights by election in Gilesgate, Hexham: Lib Dem: 43 votes, 13.3% Cons: 132 votes 40.8% Inp: 56 votes 17.3% Lab: 92 votes 28.5% Total votes cast were 323, which represents a very healthy 38.73% turnout. All three main parties put a fair amount of work in, for the Lib Dems to go from 2nd to 4th must be a real hammer blow. Well done to our candidate Trevor Cesseford and to Terry, Nick and all the Hexham team who helped make this a win for us. Viscount Ridley - a great man, to whose funeral I am going to today. Came up late last night on the train to a wet and windy Northumberland. Sadly had to miss yesterdays by election in Hexham, where the Council seat was retained by the Conservative candidate, with Labour second, Independent third and Lib Dems fourth. Have surgeries this morning, and meeting care home representatives, then off to Newcastle Cathedral for the memorial service to Matthew Ridley: a great Northumbrian man who crossed all political divides. I am sure the Cathedral will be packed. Great morning in the House today as we welcomed the School and many of their teachers and parents. Answered questions on everything from a typical week, to fuel poverty, how long a parliament lasts and where we sit in the House. Full details and a picture will follow. Had to sprint to make the House in time but managed to get in my 2 questions on fuel poverty and competetion on heating oil. The Oympics - 100 days and counting!!! Its a wet morning in London but the numbers do not lie: we have less than 100 days until the Olympics start in East London. "The feature of this debate has been that Members of Parliament have attempted to do two things. First, they have attempted to persuade their constituents that they do not have any Olympic tickets. I, too, can assure my constituents that I have no Olympic tickets, despite having made great efforts. Secondly, all of us have tried to show an Olympic discipline in which we could be proficient. I was very impressed by the speech by my hon. Friend Richard Harrington, who is, sadly, no longer in his place. I understood his description of how for him a “marathon” was a large bar of chocolate to be eaten regularly. I once ran the New York marathon for Children with Leukaemia. Most people experience “the wall” during a marathon. Some reach it at 10 miles, but I did so at 20 miles. When I hit the wall and approached the point where I felt like stopping, I was told by a gentleman in the Bronx, “Don’t stop there man. They’ll only steal your shoes!” Nothing could have encouraged me more to start sprinting at that stage. I am pleased to discuss the north-east tonight, as it is seeing a great deal of the Olympic torch and of the Olympic movement. I agreed with almost everything that the Chair of the Select Committee said, but at one point he said that the eyes of the world will be on London. I accept that that the eyes of the world will largely be on London and its surrounding regions, but if London is the hub, the spokes of the Olympic wheel are going to various other parts of the nation. There is no question but that the north-east will participate in a great deal of the work in terms of the Olympic flame. As we know, half the world’s population will be watching the Olympics; 83% of our schools are involved in the Get Set programme, with 508 schools games taking place thus far; 40,000 journalists—we greatly welcome them all—will be covering the games and would expose every one of the Minister’s errors but for the fact that none will be made; and the torch relay is to cover 8,000 miles around the country. I greatly welcome the fact that Newcastle will host nine football matches, including the men’s quarter final. I can assure hon. Members that that will take place at St James’ Park, not in some place that none of us have heard of called the “Sports Direct arena”, although we gratefully accept the sponsorship of the Sports Direct brand. However, this is not all just about sporting events. Obviously I will be cheering people on, as will my constituent Steve Cram, the man who started the Kielder marathon—a man who has won Olympic medals and now lives just up the road from me in Hexham. We will be cheering on Matt Wells and other members of the Hexham community who are in the Olympic squads. But we must celebrate not only the sport but the business element, about which many have spoken. I stress that it has been a fundamental feature of both the previous Government’s approach—to their great credit—and the present Government’s approach to buy British and to support local organisations. I pay due tribute to: Sotech in Durham, which has provided the roof cladding for the aquatics centre; Hart Door Systems Ltd, which has provided the roof shutters for the Olympic stadium; Hathaway roofing in County Durham, which has provided roof cladding for the international broadcasting centre, keeping all those 40,000 journalists nice and dry and warm; and International Paint in Newcastle, which has supplied the paint for aquatics centre. The other good thing is that the north-east will see the torch almost more than any other region. We will have it for five days, when it will take in things such as the angel of the north in Gateshead, the Penshaw monument in Sunderland, and Hadrian’s wall. Friday 15 June will be a spectacular day—I recommend this to people above all else—because the torch will travel from the Tyne bridge to the quayside by zip wire. I have doubts about this, because I am nervous that the torch might fall into the water or get otherwise extinguished. However, I am sure, as the organisers have assured me, that that will not happen. That will be a memorable event, and then on Saturday 16 June, I and many of my constituents will be welcoming the torch—indeed, many of them will be carrying it—as it travels across the Hexham constituency and down into County Durham. We will also have the great benefit of the hundreds of cultural events, which will be based not only in London and the regions around it but in the north-east. I welcome the fact that the north-east band Folkestra,which I heard play fantastically well when the Secretary of State for Culture, Olympics, Media and Sport came to Newcastle on 26 January, will be playing as part of the cultural Olympiad. I respectfully submit that that is another wonderful example of making the regions part of the main Olympic movement. The long and the short of all this is that there has to be a wider element, and I wish briefly to discuss the business impact on tourism, which will be huge. I understand that approximately £39 million is being spent on the advertising campaign that will promote Britain as a tourist venue. That is an excellent thing, because we have the chance to showcase this great country. Although the Olympics and the Paralympics will last for just six weeks, this is a once-in-a-lifetime opportunity to showcase Great Britain. I warmly welcome what the Government and the previous Government, to their great credit, have done in this respect. We also need to play our part in supporting tourism, because with the 20.12% discounting scheme and the 2012 tourism initiatives this is surely the year, above all others, when we should be “staycationing”. I shall be walking the entire 270 miles of the Pennine way, starting in Edale, in the great county of Derbyshire. We will travel all the way north through South Yorkshire, North Yorkshire, Cumbria and Durham and into the great county of Northumberland, where we shall journey the Pennine way through my constituency for five days and then finish up in Scotland. We will be doing that for charity, but on the way I will take advantage of many bed and breakfasts, restaurants and, of course, the odd pub or two. We should all invite our respective organisations to “staycation” and to support tourism in the best way they can, because this is a once-in-a-lifetime opportunity. Pre-Olympic training camps are coming to the north, so we will welcome, for example, the Sri Lankans and the Colombians to Newcastle and the north-east. We will also be in a position to have our own games, as multiple local schools are holding multiple local games - I am a big supporter of the East Tynedale games. Firstly, last week the courts ruled that Abu Hamza, serving a seven-year sentence in Britain for soliciting to murder and inciting racial hatred, can be extradited to a USA prison to face separate charges of terrorism there. The Court ruled that transfer to a high security American prison, with its televisions, and facilities a lot better than many a Premier Inn I have stayed in, did not breach the terrorist's human rights. Egyptian-born Abu Hamza is wanted in America on 11 charges related to taking 16 hostages in Yemen in 1998, promoting violent jihad in Afghanistan in 2001 and conspiring to set up a jihad training camp in Oregon, America. The American authorities have described him as a "terrorist facilitator with a global reach". Successive governments have fought for more than a decade to deport Mr Qatada, and he has cost the taxpayer more than £1.5 million in legal bills and benefits. Yesterday, I was in the House to hear the news from the Home Secretary that he will ultimately be deported to Jordan to face terrorist charges. He still has some rights of appeal to exhaust but, given the concessions and developments that have taken place recently, I now believe that the former right hand man to Osama Bin Laden will stop being both a drain on our resources and a thorn in our side. There was an overwhelming groundswell of support from all across the House for the removal of this evil man. Mrs May told MPs she was confident she had enough assurances to allow for his deportation, including guarantees that no evidence obtained by torture will be used against him. I spent a long time as a lawyer, and believe absolutely in Human Rights. But the sooner these two evil men are far from our country and facing trial abroad for their alleged crimes the happier I will be. On Monday myself, and my Liberal Colleague Ian Swales, the MP for Redcar who successfully ensured the blast furnace is firing once more in Redcar [note the fact that the famous smelter closed under Gordon Brown and Labour and opened again under the Coalition] went to the Department of Eneregy and Climate Change to meet Greg Barker,MP, The Minister in charge of the Green Deal. This meeting is part of our ongoing attempt for Hexham to be the pilot for the Green Deal, given that we are working with the excellent charity The Green Alliance. We met the Minister for 30 minutes and continued for a further hour and a bit with his key official David. It was a really helpful meeting. The important point was that all agreed that the Green Deal will most definitely go ahead. Some Councils are very far ahead of the game in their state of readiness - Birmingham springs to mind. Northumberland and Newcastle are clearly lagging [forgive the pun] but I am sure that with the assistance of the DECC officials this can be rectified. I hope to progress this in the near future but the key issue will be to ensure that local builders, plumbers, and small constuction companies are accredited as providers under the Green Deal. The scheme whereby you receive free home improvements, thereby addressing climate change and creating jobs and cutting household energy bills is unquestionably the right way ahead. But, we do unquestionably have to have community firms involved to ensure the community buys into the scheme. On a separate note I am getting the Scottish Minister to answer questions shortly before PMQs this Wednesday morning at 11.45, on whether he agrees that there is a lack of competetion in fuel pricing in the Scottish border region. Given the eveidence we have presented to the OFT last month I hope he agrees. On this issue I really feel we are making progress. - Education Questions today and will be trying to get a decision date or an updated timeline on the decisions on Prudhoe School funding / rebuild, followed by a 2 hour meeting with Greg Barker the DECC Minister and the Green Alliance. - Wednesday at 11.45 I will be raising the issue of fuel poverty in the border regions with the Minister in the House and welcoming one of the Prudhoe schools that is visiting the House. There are also debates in the House on the Economy of the North East on Tuesday and a number of others where I hope to speak, if called. Will be heading north either Thursday night or Friday first thing. All of these issues are important but my hope above all is for Prudhoe High School and its rebuild programme. I know that the decision is needed soon. I will update the moment I know. but the reality is that it lasts from Monday April 23rd, 2012 until 3rd May 2012. Hard to pick a stand out must go to event in a sea of talent as this year's seventh festival is back with its most vibrant line up yet. - and swashbuckling words from former poet laureate Andrew Motion. There are still tickets left to some events at the Queen’s Hall if you have not already booked. The literature and workshop events are the key events for me but as to the stand out speakers if I get the chance I will defintely go to hear the great Tam Dalyell - the iconic Labour MP from Scotland who was a giant of parliament in the 70's-90's. Polly Toynbee I hear too much of in Westminster but Motion and Grayling are both masters of poetry and prose. 30 years ago we were at war with Argentina - who are once again indulging in a new wave of rhetoric about how the Falkland Islands should be Argentinian. Their intellectual argument is utterly flawed. The only menacing colonial power as far as the islanders are concerned is Argentina, not the UK - who is standing up for self determination. All of us should pay tribute again today to all those UK service personnel who gave up their lives, and the Argentinians who also fell. There has been some great news announced this week which I have been wanting to blog about for a while. Northumberland’s largest manufacturing employer, Hexham based Egger UK, is making a £20 million investment in new production equipment that will help the company retain its crown as Europe’s most-advanced chipboard manufacturing plant. 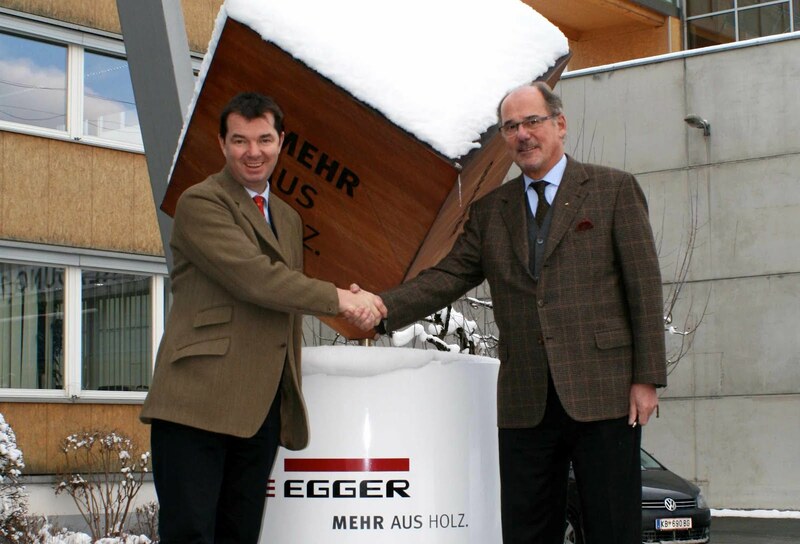 I was given the news during my discussions at the headquarters of the family-owned Egger Group in Austria when I went out to brief co-owner Michael Egger on moves in Parliament to address the issue of subsidies to biomass electricity generators that are damaging the wood panel industry. For some time I had wanted to meet the man who is responsible for so many key jobs in Hexham and decided to pay for a trip to meet Mr Egger and his team at their base in Austria. I was delighted to be given the exclusive news that significant investment is planned at the Hexham factory which will help to secure jobs and safeguard the company’s future in what are very challenging trading conditions for their industry. Michael Egger is a fascinating man who lives right next to the factory in Austria, and who has built up a great community-based company that is a world-leader in its field. This is good news for Hexham and all the associated industries. But, most of all, it is great news for all the employees. An Egger spokesman told the Courant: “We were keen to meet with Mr Opperman – and pleased to give him the good news of the latest plans for the Hexham factory. “We are investing in new lamination and impregnation equipment that will ensure our chipboard products continue to meet the exacting quality standards demanded by the furniture sector. 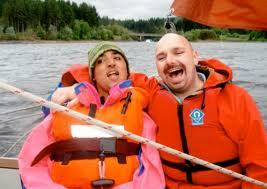 Assisted Suicide Debate in the House of Commons - to whom does your life belong? To whom does your life belong? Is the state right to say that you can not have the death of your choice? I was lucky enough to make a brief contribution to last weeks debate on assisted suicide in the House of Commons. It was my first "issue of conscience" speech in the House, and it was probably the best debate I have heard in the House - with many fine speeches. I was deeply impressed by the speech of Paul Blomfield - my Labour colleague from Sheffield, which clearly spelt out why the law must change. - but that ultimately the law must change so that we have both the life of our choice and the death of our choice. 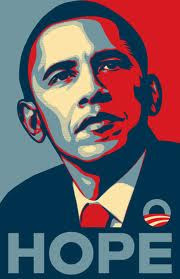 I am serious Barack Obama fan - on so many levels he is a transformative politician. He would get my vote every day in the American election. His speech last week was outstanding and I quote a few key points below: so much of what he says applies to the issues we have to wrestle with in the United Kingdom. "There are also big fundamental issues at stake right now, issues that deserve serious debate among every candidate, and serious coverage among every reporter. Whoever he may be, the next president will inherit an economy that is recovering, but not yet recovered from the worst economic calamity since the Great Depression. Too many Americans will still be looking for a job that pays enough to cover their bills or their mortgage. Too many citizens will still lack the sort of financial security that started slipping away years before this recession hit. A debt that has grown over the last decade, primarily as a result of two wars, two massive tax cuts and unprecedented financial crisis, will have to be paid down. And in the face of all these challenges, we’re going to have to answer a central question as a nation. What, if anything, can we do to restore a sense of security for people who are willing to work hard and act responsibly in this country? Can we succeed as a country where a shrinking number of people do exceedingly well while a growing number struggle to get by or are we better off when everyone gets a fair shot? And everyone does their fair share. And everyone plays by the same rules. This is not just another run of the mill political debate. I’ve said it’s the defining issue of our time and I believe it. That’s why I ran in 2008. It’s what my presidency has been about. It’s why I’m running again. I believe this is a make or break moment for the middle class and I can’t remember a time when the choice between competing visions of our future has been so unambiguously clear. Keep in mind, I have never been somebody who believes that government can or should try to solve every problem. It doesn’t make us weaker when we guarantee basic security for the elderly or the sick or those who are actively looking for work. What makes us weaker is when fewer and fewer people can afford to buy the goods and services our businesses sell." If I am anything I am a representative of the one nation centre ground: I hope he wins in November. Easter is a very important moment in the Christian calendar, so I would like to extend my best wishes to everyone at this special time of year. This applies to all faiths. Although I am Christian I strongly believe that it is the presence of faith, coupled to tolerance, that best defines us. I am a big believer in the concept of the Big Society - if you come to Northumberland you see it every day - and we were practising this long before the last election: I had a good example last Sunday when in Humshaugh - I arrived to buy the Sunday papers at the Village Shop to find Ray and Sally - who are both volunteers - busy running the shop. They are not paid. They are simply part of a community who are prepared to step in and get involved where traditional models have failed. However, I accept that not everyone can do as Humshaugh did although they are doing all they can to spread the message. But ... as governments across the world take a lesser role in the state there are going to be different ways in which society steps in to address peoples concerns about their commnuity - and new ways of financing such plans. There is a clear role for investors to see a genuine return on an investment that also provides a community benefit. This is the ethos behind Big Society Capital, which will create a whole new culture of social investment that is not charity or philanthropy. Those encouraged to invest under the new models developed by Big Society Capital will be expecting a return. Charities will not apply direct for loans. BSC will put its £600 million into specialist investment funds such as Big Issue Invest, which will in turn invest in charities and social enterprises. 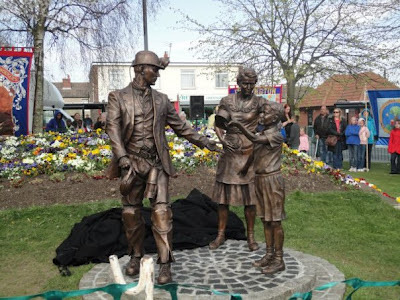 Metal Thieves have struck again - attempting to steal the Washington Miner's Monument, a beautiful sculpture of a miner and his family, which was only opened to the public on Front Street, Concord, last Saturday. Northumbria Police have said that someone had attempted to cut through the leg of the boy figure early on Tuesday. The statue has been left damaged by the attempt and police have appealed for information. Two comments apply: these criminals who target church ornaments, war memorials and statues to members of a local area are the lowest of the low. I am really pleased that the governement has brought in severe punishments for such offences. Before I did this job I spent 15 years prosecuting criminals, and all crime is wrong, but it is offences like these that upset you almost more than any other. Anyone who has read this blog will know that the local railways, particularly the line between Carlisle and Newcastle, is one of our key concerns. 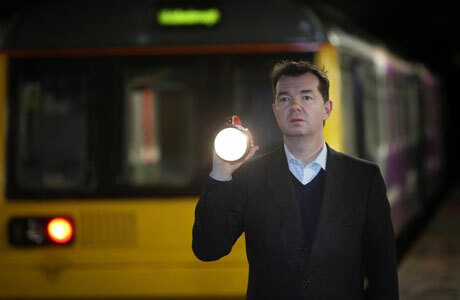 Fortunately the craziness of Torchgate is behind us, but there are promising developments with the proposal of the Transport Secretary that a local group could conceivably take over control of local Northern Rail train services. There is no question that local people are getting increasingly disappointed by the standard of the rail service on a number of different levels: it is not just the quality of the trains, carriages, and frequency. It is also a question of service. I have raised the issue of a local franchise in the House of Commons by way of Questions and will be meeting with the Transport Secretary, Justine Greening, MP, later this month to go over the possibility of setting up a Northumbria Rail. There is a precedent: Ministers have already had preliminary discussions concerning the devolving of rail rights to local groups in Cornwall and Devon, who want to set up a West Country service. Such a move in the North East would need the backing of councils and almost certainly see Metro bosses on the Tyne and Wear Integrated Transport Authority asked to take on a bigger role. Officers there are already considering the impact of the Government’s rail decentralisation consultation, with meetings held last week to assess the cost implications. For me the next two months are key: we have the end of the football season and then the County Show, when the world comes to Corbridge. I have written to Northern Rail urging them to ensure that a sufficiency of trains are laid on for these crucial events as all too often there is a simple lack of trains and carriages on these crucial local days. This will be their acid test. Hexham MP Guy Opperman has lavished praise on the regeneration work being done on the Hexham East estate - and promised to return to lend a hand. Mr Opperman, who has represented Hexham since the 2010 general election, was given a tour of the estate by regeneration officer Grace Burke and her colleague Claire Heaviside, alongside long time resident Margie Mennim. Grace and Claire’s work is based in the No28 community house on the estate, operated by the Hexham Community Partnership. Their salaries are co-funded by social landlord Isos, which owns and manages all the 364 social rented homes on the estate, and Northumberland County Council. Mr Opperman has spoken in parliament before now about his admiration for the regeneration work done on the Hexham East estate, and has taken an interest in how Grace and Claire work alongside the local Sure Start Centre, the Hexham East Residents Association and the Police to help improve the fortunes of the area. Mr Opperman said: “This is really the most impressive community organisation who are slowly but surely helping to transform the East End of Hexham . “It is led by dynamic, warm and very focused people who have nothing but good ideas. “I could not have learnt more in the time we had – I already knew the area very well, but when you see what they are doing on the ground, it’s fantastic. Everyone here can be very proud of themselves. 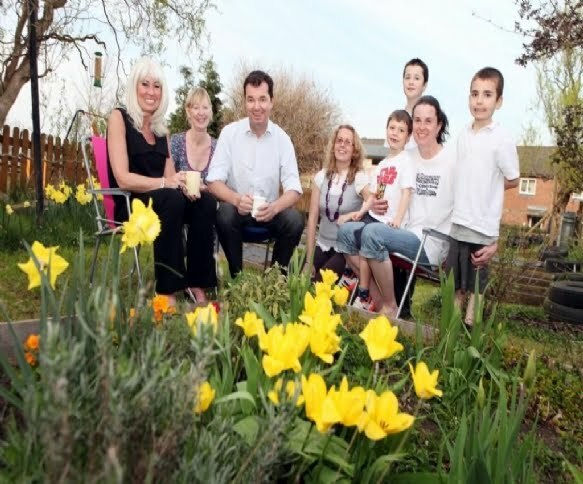 “People talk about the big society, but this community has been doing this for years. This model works with the community partnership, No28 itself, Sure Start, and the residents association – all very active community organisations collaboratively transforming the East End. Essentially, it’s about people taking ownership. One of the recent developments on Hexham East seen by Mr Opperman was a £1m development of eight new family homes by Isos. On an estate of mainly smaller homes, predominantly two and three bed properties, there has been an acute shortage of larger homes. So Homedale Court represents the first new affordable family homes to be built on the Hexham East estate for decades. 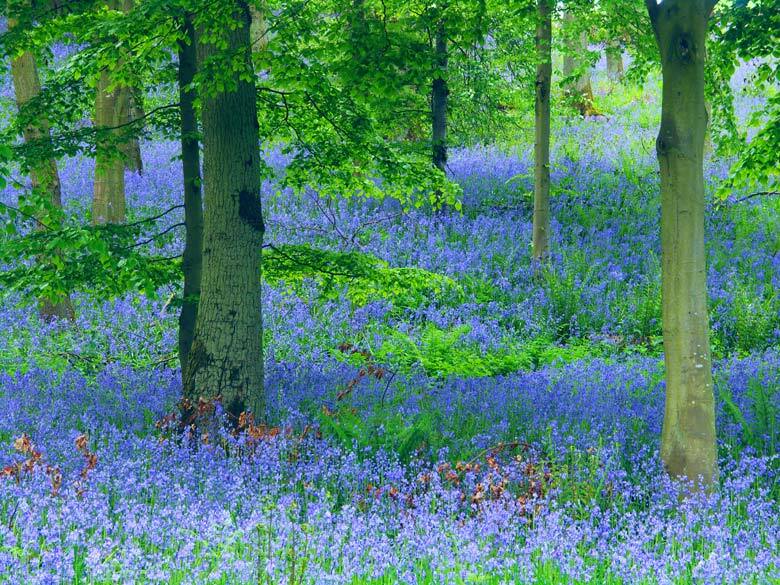 Back in Westminster - where the weather is still springlike - with bluebells and wild flowers all over the parks, as friends tell me it is snowing in Northumberland. There is no question that the climate is changing - we are clearly in a drought, albeit we are probably heading for a wet summer. My plan is to hike the Pennine Way this August as part of my holiday and also as the summer tour of the west and south of Northumberland. Doubtless it will lash down with rain and snow! 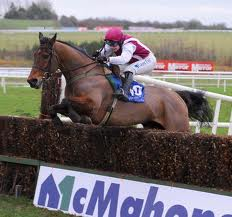 It is a tradition on this blog dating back several years for me to try and give a Grand National Tip. Some years this has been successful, others not so. I have still to ride at Liverpool, although my father rode in the 1966 Grand National as an amateur. I wish everyone good luck and a safe journey for each horse and jockey. 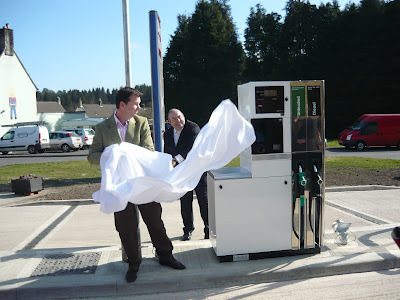 The formal opening of Kielder Garage ... and the nice Dutch Tourists who jumped the gun! Photos by our own David Bailey = Philippa Craig, Technical Funding Officer of Leader. 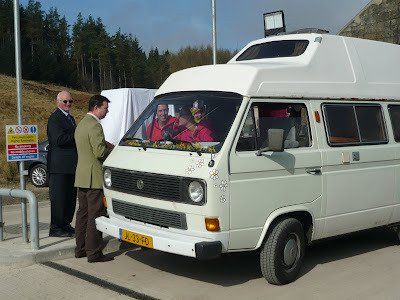 The opening of the Kielder Garage was a wonderful event last Friday but whilst we were all about to make speeches about how great it was a nice Dutch couple turned up in their camper van looking for petrol ... so the grand ceremony had to stop for some actual petrol provision. My thanks to Tom, Cameron and all the many people [too numerous to name] who did so much to make this happen, and the Anglers Arms who entertained us afterwards. In the meantime I must credit all the local supporters of the Calvert Trust - not least Egger in Hexham who have chosen to continue to support Calvert Trust Kielder as their charity of the year for a further two years. This blog also likes to provide a little more for its 15,000+ readers so to understand why this groundbreaking charity has its name we have to go back over 200 years, to the Calvert Family, who previously owned the Lake District site that was the first site of the Lake District location of the Calvert Trust. Raisley Calvert had grown up with William Wordsworth, the famous poet and writer, and this childhood friendship continued into adulthood. It was Raisley Calvert’s desire that his friend be able to continue his writing and he encouraged him all he could. However, by the age of 21 Raisley had developed tuberculosis and was dying. As he faced death, he wanted Wordsworth to fulfil his writing potential and a legacy, including Old Windebrow Cottage, in the Lake District was arranged to allow Wordsworth to continue with his poetry full time. As we all know, Wordsworth went on to fulfil his own potential and leave his own literary legacy - he even wrote a poem dedicated to his friend Raisley Calvert. So when the Trust was proposed in the last century - a name was needed to represent friendship, support and the desire to help somebody to fulfil their potential: unsurprisingly they chose the name Calvert, given the links and the desire to help make a difference. It is an impressive organisation run by dedicated and special people.